I would like for you to meet my new favorite cookie. 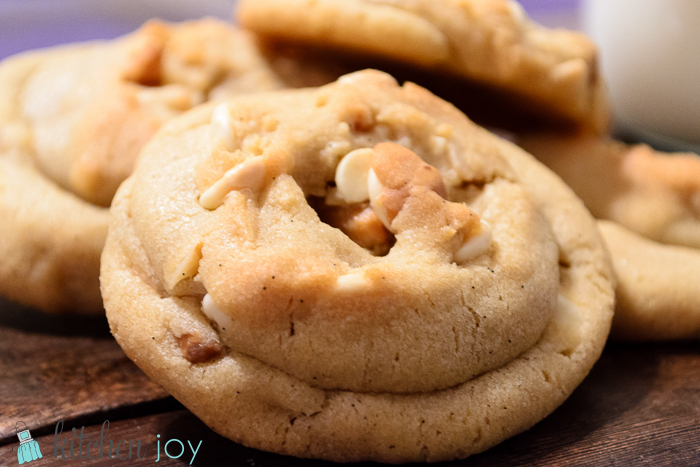 Vanilla bean, brown butter, white chocolate, macadamia nuts, shall I keep going? 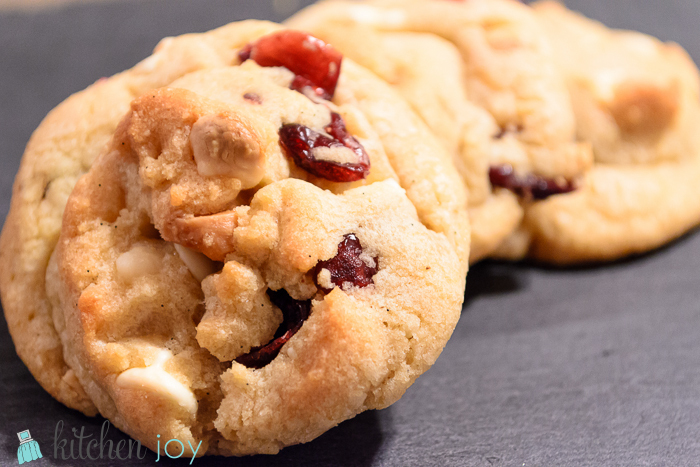 If you’re feeling fancy, or festive for the holidays, they’re delicious with dried cranberries as well. 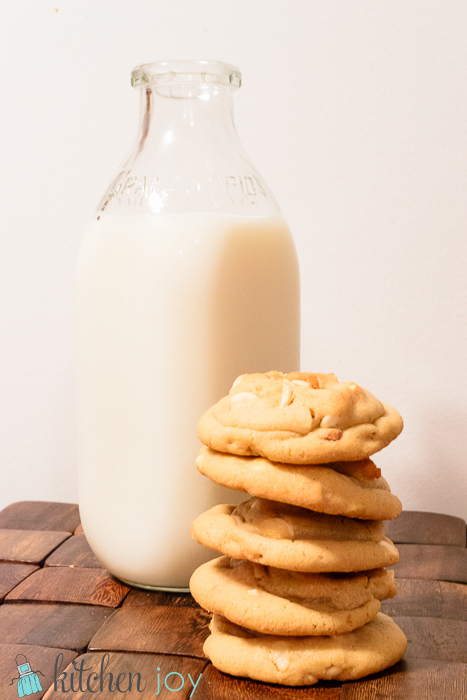 I used to get a white chocolate macadamia cookie every day before my driver’s training lessons (so long ago now…) from the bakery at the mall. If only theirs were half as good as these ones are! 1. 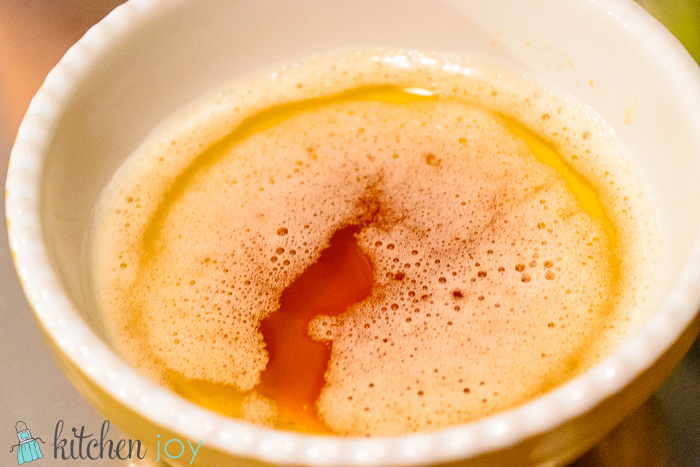 Prepare the brown butter- In a saucepan, heat 1/2 cup (1 stick) of the butter until is is boiling. Gently swirling the pan and stirring the entire time. WATCH CAREFULLY! 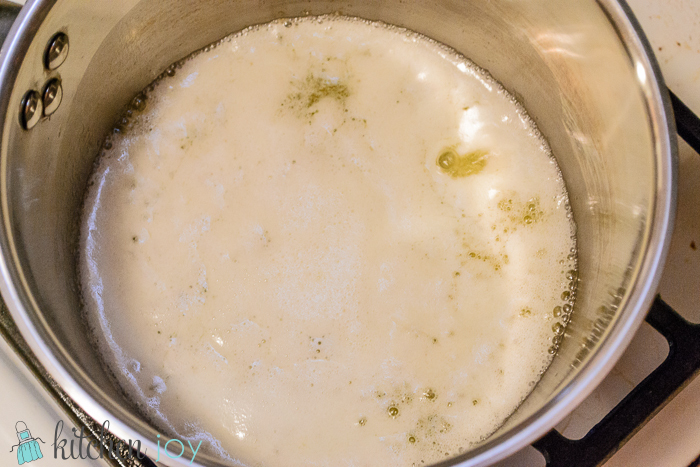 You will start to see the milk solids separate (has white filmy appearance on the top of the liquid) and then you’ll begin to see little caramel-colored flecks in the bottom of the pan. As soon as the flecks start to look amber-colored, remove from the heat and immediately pour into a bowl. If you leave it in the hot pan, you’ll burn the butter. We want brown butter, not black butter. Set bowl aside to cool to room temperature, about 25 minutes. 2. Preheat oven to 350 degrees F. Line baking sheets with parchment paper. 3. 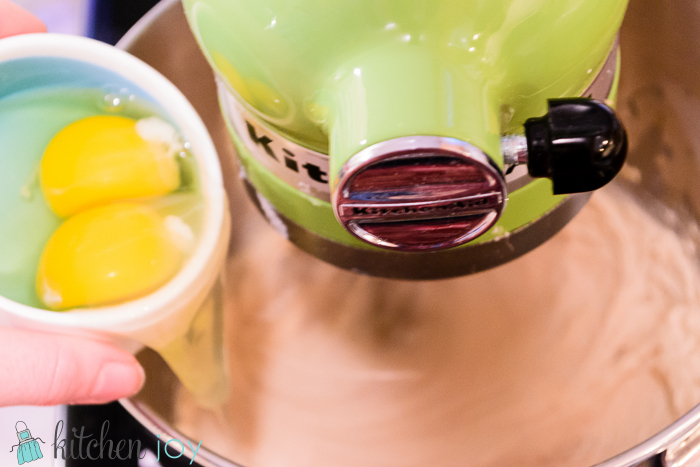 In a stand mixer fitted with the paddle attachment, beat the brown butter together with the remaining 1/2 cup of room-temperature butter until smooth. Add sugar and brown sugar and beat until light and fluffy. Add eggs and vanilla bean seeds. 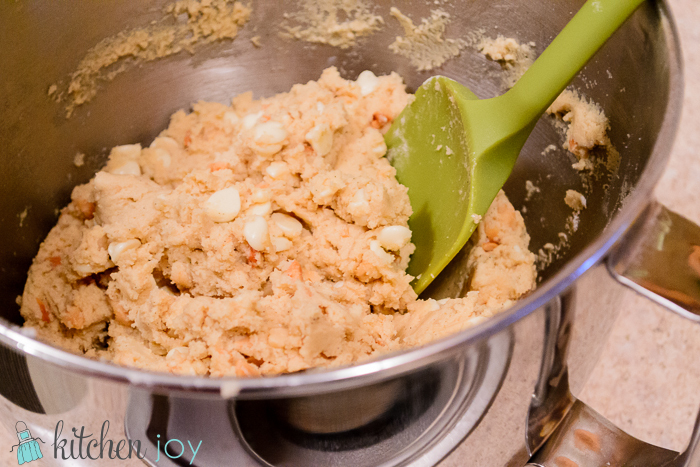 Continue mixing and gently add the flour mixed with baking soda and salt. 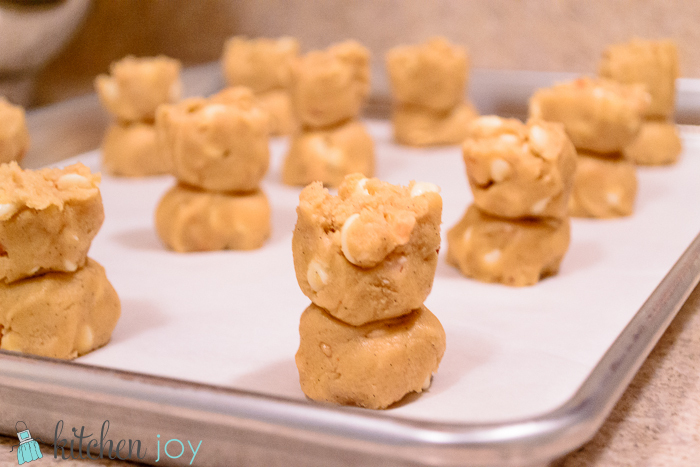 By hand, mix in white chocolate chips, macadamia nuts, and dried cranberries (if desired). 5. Bake for 12-15 minutes, until just starting to turn golden. Let cool on cookie sheet at least 10 minutes, then remove to a wire rack to cool completely. 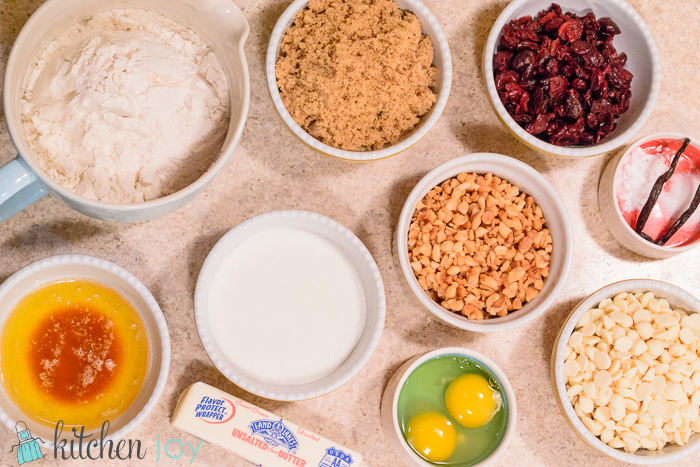 Do not try removing from baking sheet right away- the cookies are so very soft and fluffy and they need some time to deflate a little bit. They’re worth the wait! 6. Pour a glass of milk and share with your friends.